Around 66,151 students graduate with a major in Criminal Justice & Corrections per year. This means it is a reasonably popular choice for students, earning it a ranking of 6th most popular out of all 384 college majors evaluated. If you're worried about after college income, pursuing Criminal Justice & Corrections might not be your best option. The major is ranked 97 out of a total 121 programs regarding income potential, however, some schools could deliver superior outcomes than others, and students can improve their salary potential with further education. Below you'll see a list of the best colleges and universities to study Criminal Justice & Corrections. Our ranking methodology takes into account education quality, average earnings of graduates, accreditation, and several other relevant factors. 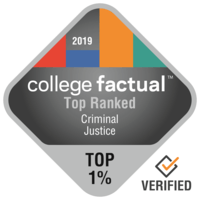 The top ranked school in the United States for Criminal Justice & Corrections is George Mason University. George Mason University offers graduate degrees in criminal justice for those interested in an advanced degree. It is found in the suburban area of Fairfax, Virginia. Since the average SAT score of this school's applicants is about 1,155, the school is able to be pretty selective. About 16.0% of students submit ACT scores, with the standard score being in the 26 range. Go on a virtual tour to know more about GMU. It's difficult to beat George Washington University if you want to study Criminal Justice & Corrections. Students who graduate from the criminal justice program earn about $49,538 in the first five years of their career and $79,064 after their first five years of their career. Washington, District of Columbia is an excellent setting for college students who get pleasure from the active city life. University at Albany is among your top options if you want to study Criminal Justice & Corrections. University at Albany offers graduate degrees in criminal justice for those interested in an advanced degree. Positioned in Albany, New York, this college is a very good final choice for students who enjoy the thrill of a significant city. The student body at University at Albany is remarkably diverse and welcomes undergraduates from across 26 U.S. states and 46 nations around the world. The low net price of $20,496 for University at Albany is great for students who list cost as a major concern. 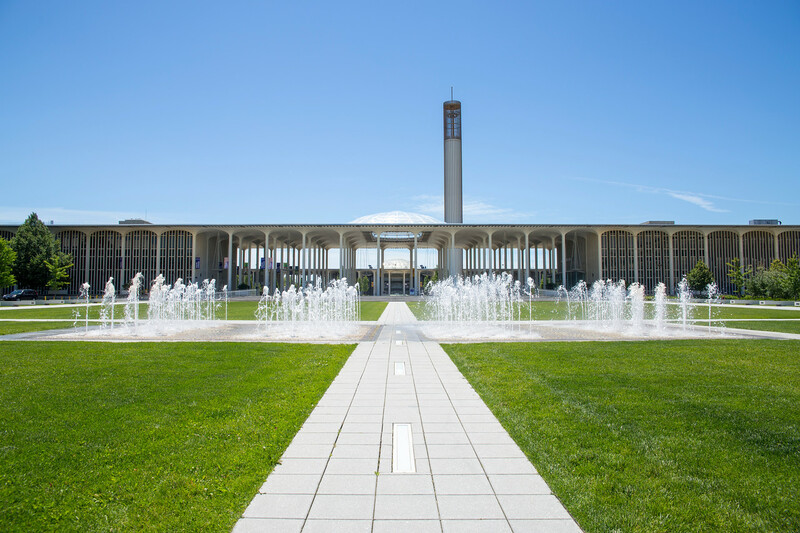 Videos from UAlbany can be a good way to explore university. It's difficult to beat Rutgers University - Newark if you want to pursue Criminal Justice & Corrections as a major. This is quite a common major at Rutgers Newark, with 11.4% of undergraduate students signed up for it. Newark, New Jersey is an ideal surrounding for college students who get pleasure from the fast-paced urban lifestyle. For those who would like to keep going after earning a undergraduate degree, this school has grad programs available. Rutgers Newark has been ranked one of the best for quality education outcomes delivered to veterans and military personnel. Check out some school videos to learn more about what being on campus is like. Any student pursuing a degree in Criminal Justice & Corrections needs to take a look at Northeastern University. Northeastern University offers graduate degrees in criminal justice for those interested in an advanced degree. The setting in a main urban center is tremendous for scholars seeking out considerable options for social networking, excitement, and life. American University is a great option for students pursuing a Criminal Justice & Corrections degree. In addition to its bachelor's programs, American University offers graduate degrees in Criminal Justice. Based in Washington, District of Columbia, this university is ideal for students who prosper in an urban atmosphere. Get higher than 28 on the ACT? That's above the average applicant score, so you should apply. The American University has a leading women's volleyball team. Check out every one of American University's rankings to find out more. Pace University - New York is a good decision for individuals interested in a Criminal Justice & Corrections major. Graduates of the criminal justice program earn about $62,355 in the first five years of working and $64,523 after their first five years of working. Based in New York, New York, this institution is a logical option for students who enjoy the exhilaration of a significant city. Get more than 24 on the ACT? That is over the usual applicant score, so you have a good possibility of getting in. Pace University - New York does not require first-year students to live on-campus. View a few school videos to discover what is happening on campus. University of Cincinnati - Main Campus is a great decision for students pursuing a Criminal Justice & Corrections degree. After graduation, criminal justice students usually make around $39,876 in the first five years of their career. With more than 20,000 students, University of Cincinnati - Main Campus is one of the largest schools in the U.S.. Rated #8 in Ohio for overall value, we would have estimated this university's terrific instructional programs to feature a higher price tag. By offering educational funding to 59.0% of its students,this school helps you avoid as much student debt as possible. Find every one of University of Cincinnati - Main Campus' rankings to find out more. Florida State University is a wonderful decision for students pursuing a Criminal Justice & Corrections degree. Students who graduate from the criminal justice program make about $35,793 in the first five years of their career and $69,530 after their first five years of their career. This school has one of the largest student bodies in Florida. The reasonable price of $18,997 for this school is excellent for students who list cost as one of their biggest concerns. Around 82.0% of undergraduates receive some type of financial aid at Florida State University. Get all of the crucial facts on Florida State by viewing their scorecard. University of Massachusetts - Lowell is one of the best schools in the country for Criminal Justice & Corrections. After getting their bachelor's degree, criminal justice students typically earn an average of $38,432 in the first five years of their career. The specific location of Lowell, Massachusetts, is satisfactory for students who opt for a quiet, suburban area. The student body at this school is very diverse and is represented by undergraduates from across 29 states and territories and at least 45 countries. Many UMass Lowell students get scholarships. Ever wish you had an easy way to see a school's grades in each subject? Now you do. Check out University of Massachusetts - Lowell's scorecard.